They’re apparently so easy to create now, just buy the software, plug in some words, and your computer will rearrange them all into an eyecatchingly symmetrical grid. Not so in 1990. Back then, you did everything yourself, including coloring in the black squares and writing tiny little numbers in the corners of the white ones. But what the hell. Coin World liked the idea and I did have a pile of squared paper lying around. 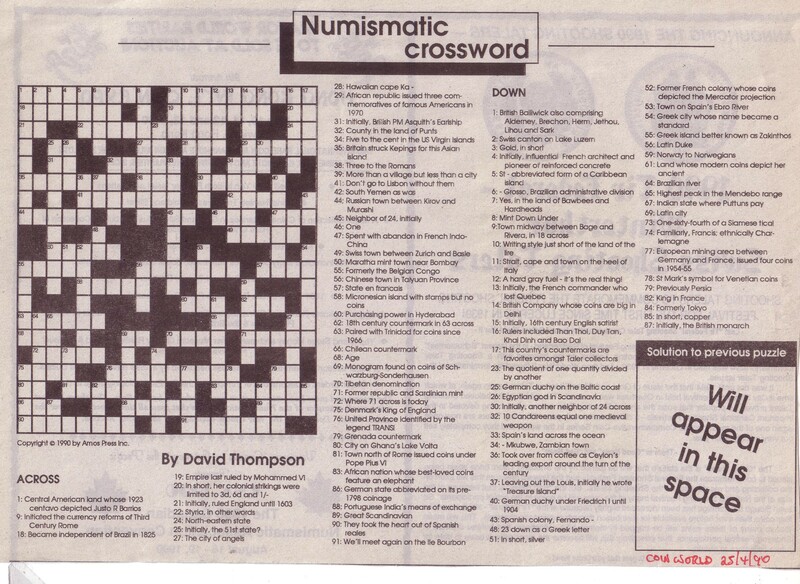 And it was rather fun, even if the occasional finished crossword did turn out to be un-do-able, on account of either the typesetters or I misnumbering one of the clues. 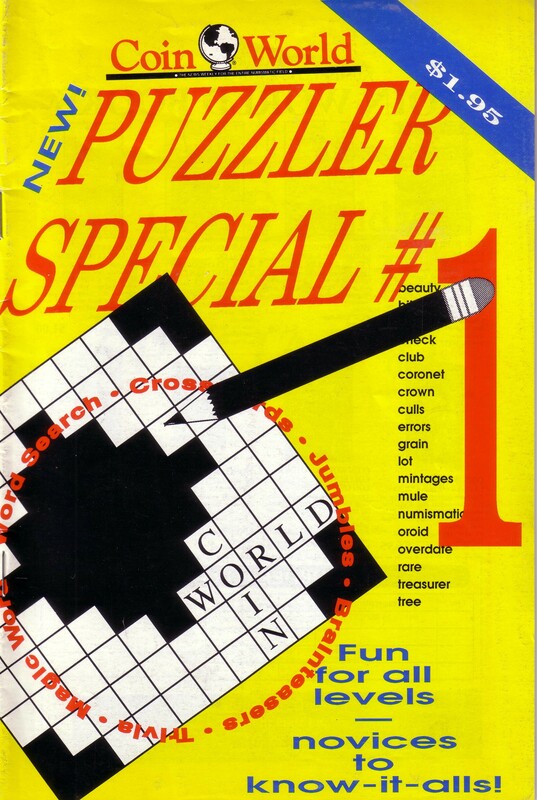 Forty-nine of the beauties appeared on a weekly basis, beginning on April 25 1990, with the best of them later being compiled into a Coin World puzzle book.